As they travel, Meiswinkle and Senzee will be filming a documentary, in which they hope to bring out the crucial — as well as inspiring and uplifting — message that our inherent rights to life, liberty, and the pursuit of happiness are unalienable, inviolate, and are core to all peoples on earth. Dave Meiswinkle and Pam Senzee are walking for truth, liberty, and freedom for all peoples the world over. 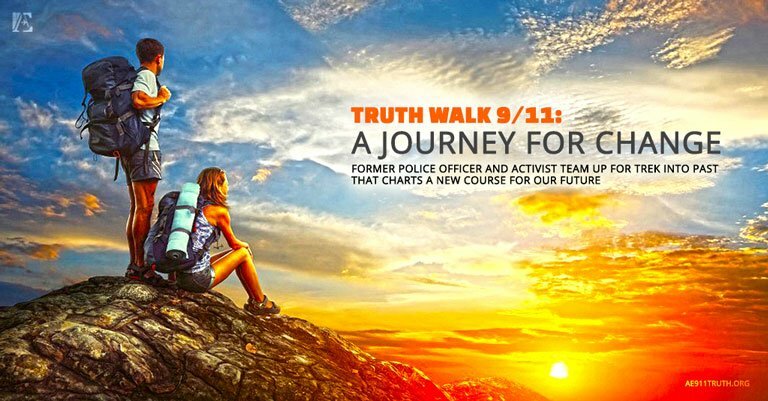 Next month, two AE911Truth friends, ex-cop and current criminal defense attorney David Meiswinkle and activist Pamela Senzee, will embark on a several-hundred-miles-long journey — on foot. They're calling the trek Truth Walk 9-11! Their sojourn will span the entire region where the crimes of 9/11 took place — the Pentagon in Arlington, Virginia, a field in Shanksville, Pennsylvania, and the World Trade Center in New York City. 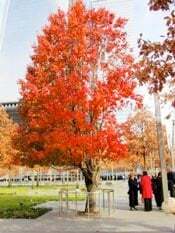 The 9/11 Survivor Tree lives on as a testament to the spirit of growth in the face of overwhelming adversity. While in the Washington, D.C., area, they will visit the National 9/11 Pentagon Memorial. They will also pay homage to our Founding Fathers at historic sites in Baltimore, Maryland; Philadelphia, Pennsylvania; and Trenton, Morristown, Princeton, and Newark, New Jersey. Their final stop: the 9/11 Memorial and Museum at Ground Zero in NYC. The journey will end at the 9/11 Survivor Tree. As they travel, Meiswinkle and Senzee will be filming a documentary, in which they hope to bring out the crucial — as well as inspiring and uplifting — message that our inherent rights to life, liberty, and the pursuit of happiness are unalienable, inviolate, and are core to all peoples on earth. They aim to make clear that the loss of our constitutional rights, by way of the Patriot Act and other draconian post-9/11 legislation being enforced in the United States and around the world, is directly related to the fraudulent official account of 9/11. In their film, they want to draw under one banner leaders from both the truth and peace movements, including architects, engineers, and other science and technical experts, as well as scholars, philosophers, psychologists, religious leaders, grassroots activists, law enforcement officials, journalists, bloggers, politicians, and just plain folks who they meet along the way. The idea is to explore all the avenues and actions by which citizens of all nations can restore liberty and therefore build genuine and lasting solutions. The pair also hopes to shed light on the means by which we can transform society at every level. They envision exploring the historic, political, social, philosophical, and metaphysical roots of our current world condition. And they intend to invite leaders in various fields to probe the possibilities for transformation. 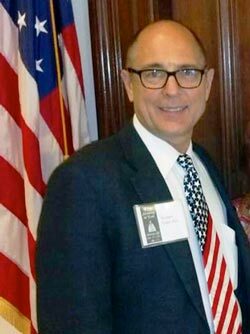 Richard Gage, AIA, in the halls of the U.S. Senate in Washington, D.C. AE911Truth fits into their plans in a couple of ways: On their walk they will distribute AE911Truth DVDs and literature, and in their film they will feature the organization's founder, Richard Gage. Senzee and Meiswinkle are also engaging in what they call a "spirit quest." That is, they seek practical spiritual answers to overcoming, both individually and collectively, the world's current plight, in which lies, cover-up of lies, and denial of lies seem to have the upper hand over truth and the freedom that truth brings to all. “There are millions of people in the truth movement. We have to take comfort that we are not alone . . . .
There’s a force that is building, and there are unseen forces at work . . . .
Be part of an historic transformation. 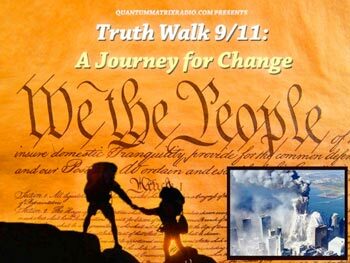 Join AE911Truth in supporting Truth Walk 9/11. *Richard Gage’s philosophical comments begin at the 66:02-minute mark.